The average cost of memory care in Davidson County is $5,141 per month. This is higher than the national median of $4,650. Cheaper nearby regions include Williamson County with an average starting cost of $5,130. To help you with your search, browse the 17 reviews below for memory care facilities in Davidson County. On average, consumers rate memory care in Davidson County 3.3 out of 5 stars. Better rated regions include Williamson County with an average rating of 4.0 out of 5 stars. Caring.com has helped 6 families in Davidson County find high-quality senior care. To speak with one of our Family Advisors about memory care options and costs in Davidson County, call (855) 863-8283. Davidson County is home to the state capital of Nashville and to a fast-growing population of almost 700,000, nearly 12 percent of whom are 65 or older. The county has 11 memory care facilities that serve residents with Alzheimer's disease and other forms of dementia. As with all of Tennessee, memory care facilities in Davidson County fall into two categories: assisted care living facilities and residential homes for the aged. Before admitting residents with memory care needs, both types of facilities must verify that they are capable of caring for them. Davidson County's climate has four discrete seasons. Summers are hot and humid, with highs regularly at 90 or above. Winters, while brief, can be cold, with lows dipping into the 20s and below. Fall and spring are pleasant — the area has an average of nearly 60 days per year that fall within the comfortable range of 70 to 80 degrees. The cost of living in Davidson County is rising, currently standing at 12 percent above the national average. Housing, at 36 percent higher than average, is the biggest contributor to this discrepancy. This information could be useful to families of memory care residents considering relocating or buying a second home near their loved one. Tennessee's tax system makes the state highly attractive to retirees. The state does not tax Social Security benefits, 401(k)s, pensions or any other form of retirement income. Its property taxes are some of the nation's lowest, though sales taxes are quite high. Memory care residents who receive Social Security or other retirement income can keep much more of it in Tennessee than in most states. Davidson County's crime rate exceeds both the state and national averages. When it comes to violent crime, in particular, the county's rate of 54 out of 100 is much higher than the typical U.S. city, which has a rate of 31. However, with a host of security features such as locking exterior doors, guards and cameras, memory care facilities are known for keeping residents safe. Memory Care costs in Davidson County start around $5,141 per month on average, while the nationwide average cost of memory care is $4,800 per month. It’s important to note that memory care rates in Davidson County and the surrounding suburbs can vary widely based on factors such as location, the level of care needed, apartment size and the types of amenities offered at each community. Davidson County and the surrounding area are home to numerous government agencies and non-profit organizations offering help for seniors searching for or currently residing in an assisted living community. These organizations can also provide assistance in a number of other eldercare services such as geriatric care management, elder law advice, estate planning, finding home care and health and wellness programs. To see a list of free memory care resources in Davidson County, please visit our Assisted Living in Tennessee page. 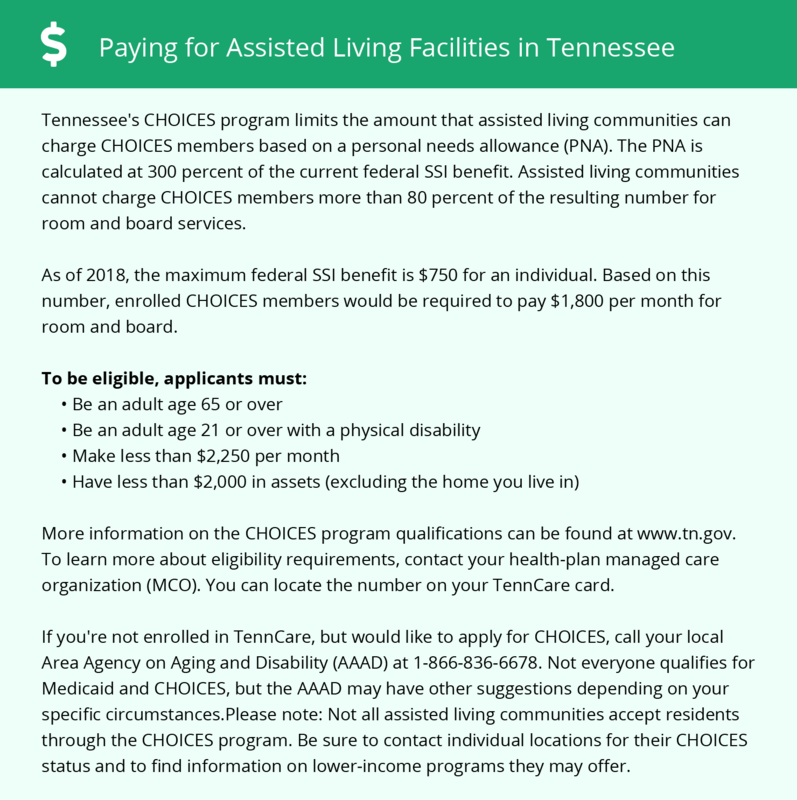 Davidson County-area assisted living communities must adhere to the comprehensive set of state laws and regulations that all assisted living communities in Tennessee are required to follow. Visit our Memory Care in Tennessee page for more information about these laws.